Hello Everyone! 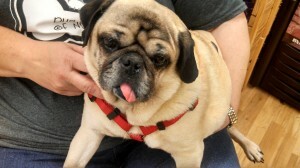 My name is Walker and I am one of the newest members of Pug Partners of Nebraska. 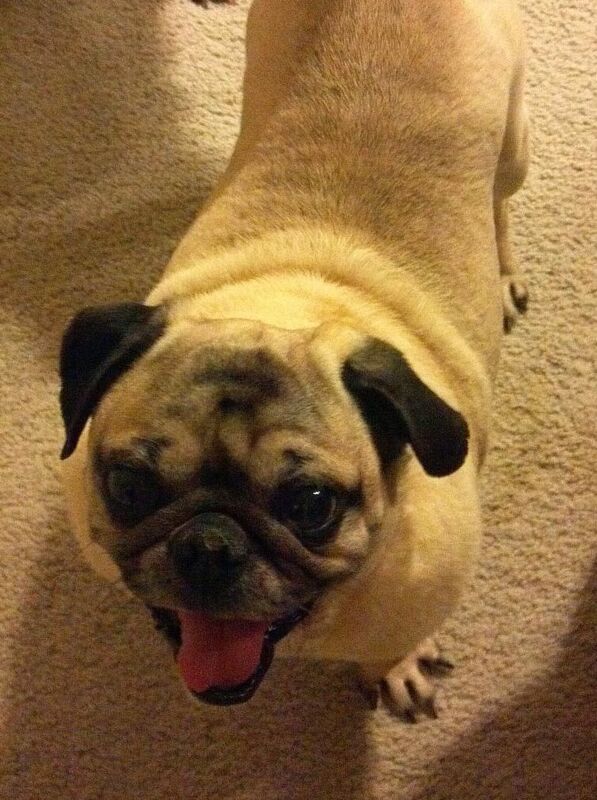 I am a male Pug and 8 years old. I love to snuggle and be close to my foster family. I am learning how to be a good house dog because I spent most of my life outside. I really like the air conditioning and sleeping in the big bed that my foster humans sleep in. I am learning how to walk on a leash and like to go out and explore the neighborhood with my humans and other foster dog brothers. I get really excited about eating but then after that, I’m ready to snuggle up and go to bed. I’m pretty mellow and not many things bother me, but I really don’t like to go down stairs. I can go up them but don’t like to go down them. I would much rather prefer to be carried around. Any human that wants to give me a little love and a snuggle will become my best friend. I am looking for my forever home. Do you think I could be part of your family?